10 count pack of 1 lb. 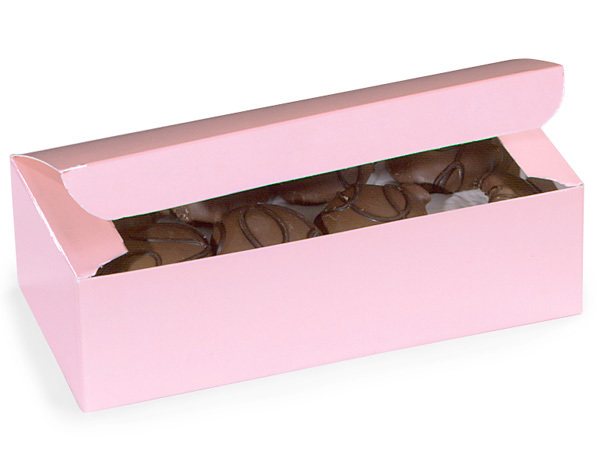 1-piece Pink Gloss Candy Boxes are perfect for candy, chocolate truffles & fudge. Exact box size is 7x3-3/8x2". Stored flat with quick semi-automatic bottoms & tuck lids. Complies with FDA regulations for food packaging. Made in the USA.